Under the leadership of President Thomas Jefferson, the United States purchased 827,987 square miles of territory from France on May 2, 1803 for $15 million. It was a momentous event that doubled the size of the new country, and greatly increased its economic power. Learn more at the following sites. "President Thomas Jefferson wrote to a fellow scientist in late January, 1804, that ‘I confess I look to the duplication of area for extending a government so free and economical as ours, as a great achievement to the mass of happiness which is to ensue.'" Professor Pierce Mullen of Montana State University contributed this Louisiana Purchase essay to the Discovering Lewis & Clark project. It offers detailed insight into the Purchase, presented in a engaging format. Don't skip Side Lights, which offers a timeline and a gallery of important players. "At first Napoleon refused to sell. He had hopes of creating a massive empire that included the Americas. However, soon Napoleon began to have troubles in Europe and he needed money desperately. James Monroe traveled to France to work with Robert Livingston. In 1803, Napoleon offered to sell the entire Louisiana Territory to the United States for $15 million." 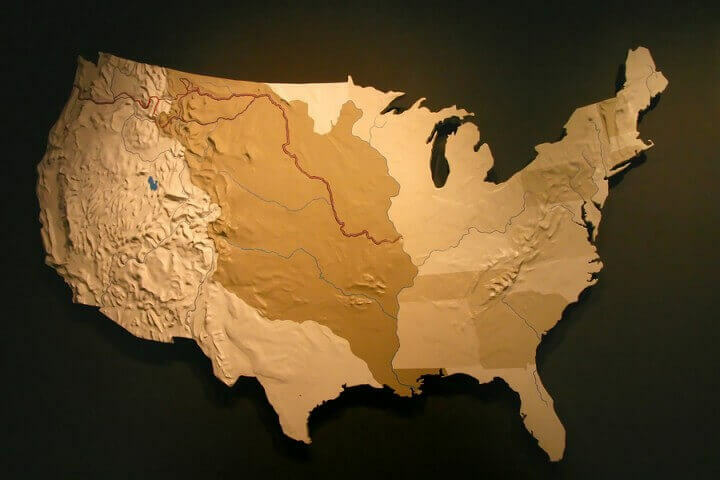 Ducksters provides an introduction to the Louisiana Purchase for elementary and middle school students that concludes with a short list of interesting facts. Be sure to follow the hyperlinks for more details on Thomas Jefferson, French Emperor Napoleon, Lewis and Clark, and other forays into Western Expansion. "Though the transaction [the Lousiana Purchase] was quickly sealed, there were those who objected to the purchase on the grounds that the Constitution did not provide for purchasing territory. However, Jefferson temporarily set aside his idealism to tell his supporters in Congress that 'what is practicable must often control what is pure theory.' The majority agreed." Early America has an excellent introduction to the Louisiana Purchase, a complete transcription of the treaty, as well as a nice collection of maps. Monticillo.org is a project of The Thomas Jefferson Foundation, which owns and operates the estate that Jefferson designed and built near Charlottesville, Virginia. This Louisiana Purchase page is part of the site's Jefferson's West section, which also covers Jefferson's role in sending Lewis and Clark on their famous expedition. This is another one perfect for school reports, especially those with a focus on Thomas Jefferson's leadership in dealing with the Spanish and the French for control of the Louisiana territories. Visit this National Archives site for an overview of the Louisiana Purchase, pictures of the original document and its ornate cover, and a transcript of the Louisiana Purchase Treaty. Follow the View Related Documents link for an introduction to the three-language public notice (called a broadside) that was written in December of 1803 to announce the Louisiana Purchase, and to clarify citizenship status for the residents of New Orleans. Feldman, Barbara. "Louisiana Purchase." Surfnetkids. Feldman Publishing. 16 Dec. 2014. Web. 19 Apr. 2019. <https://www.surfnetkids.com/resources/louisiana-purchase/ >. By Barbara J. Feldman. Originally published December 16, 2014. Last modified April 10, 2018.